Insurance is a risk transfer. Your insurance policy transfers the cost of a potential loss to an insurance company. If a disaster or other insured loss occurs, your policy protects you against financial adversity. Sometimes insurance is required by law (for example, compulsory third party cover for motor vehicles); other times you elect to buy it to safeguard against uncertainties. Businesses and individuals buy insurance to protect themselves and their assets against a wide range of insured perils and liabilities. Your insurance needs vary over time, so it is important to review your policies to ensure you have the most appropriate cover for your lifestyle and financial circumstances. Your broker can help you assess your risks and find appropriate insurance to cover your needs. Your broker acts as your advocate if you need to make a claim. other services, like premium funding and risk management reviews. Insurance brokers use their professional knowledge and experience to advise you on your insurance needs and help you choose the best policy for your circumstances and budget. The policy is a written, legal document in which you and the insurer agree on what is being insured. How much the insurer will pay if you make a claim. An excess, sometimes called a deductible, is an amount you pay out of your own pocket on a claim. Sometimes you can choose to pay a higher premium to reduce or remove an excess. But, if you are willing to pay a higher excess, your premium will generally be lower. You need to notify our office promptly by email, via our website or by phone so we can initiate the claims process for you. When you make a claim, we deal with the insurance company on your behalf to ensure the claim is resolved fairly and promptly.  A Financial Services Guide (FSG) is a document that details the products and services JMD Ross Insurance Brokers is authorised to provide under our Australian Financial Services Licence. Click here to read our FSG. A Product Disclosure Statement (PDS) is a document that helps you understand more about an insurance product so you can make an informed decision about it. The PDS explains what is and isn’t covered, any optional covers available, how claims are paid, and other important information. It is issued by the insurer and provided to you before you make a decision about which policy to buy.